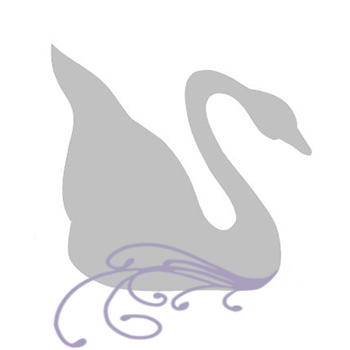 The Gift Registry is back! As the holiday shopping season begins, we all dread the question we must face for each person we are buying for -"What do I get for (fill in the blank)?" Hmmm...the stress. Well, stress no more! I have found gift registries to be an amazing tool (and stress reliever!) when it comes to gift buying. While most of my gifts this year will be handmade, there are still some things that are just too personal a choice to know exactly what would be that special gift for that special person. That "thing" is jewelry. Purchasing jewelry is a very personal choice and one that reflects our style, as well as, our personality. You can NEVER go wrong with jewelry -but, should you get silver or gold metal? A simple chain pendant necklace or a chic beaded necklace? Whether you are the gift receiver or the gift giver, the Crystal Allure Gift Registry can be your new best friend! 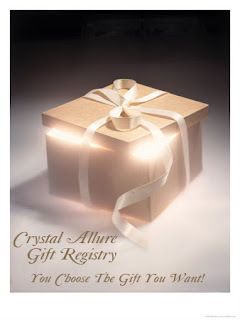 Simply shop CrystalAllure.com until your hearts content, adding each piece to your gift registry and then provide your friends, family and loved ones your registry information and make their gift buying for you much easier and less stressful.